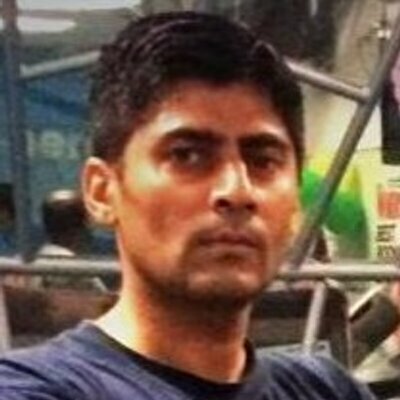 Gaurav Sawant (right), a deputy editor for Headlines Today (part of the India Today group) is being threatened with dismissal.The reason for this, is that he has dared to question (on Twitter) the way that the mainstream media fails to highlight or report accurately incidents of violence or religious intolerance in which members of the Muslim community are perpetrators. Recently, in Moradabad, some local Muslims have caused a fuss about a Hindu temple having a loudspeaker installed, which led to the district administration removing the loudspeaker. The fact is that virtually all mosques in India have loudspeakers, and by logic it is simply an act of intolerance for any Muslims to protest against a temple having a loudspeaker. Muslims too need to learn to live by the rules of pluralism, including in areas where they are the majority. Yet the media is portraying this as an act of Hindu intolerance for daring to put up a loudspeaker in a Muslim majority area! Then in Saharanpur a Muslim mob attacked Sikhs over a land dispute, leaving 3 Sikhs dead, even though the Supreme Court had ruled in favour of the Sikh ownership of the land. Once again, the media have reported it treating the miscreants with kid gloves; trying to create a moral equivalence between the Sikhs defending themselves and the mobs attacking them. In separate incidents, a Shia Muslim was force fed by Sunni Muslims – forcing him to break his fast, and a Hindu temple was ransacked in Kashmir. The media just ignored the incidents. Sawant never has expressed any prejudice against any community, nor has he attacked any community. All he said is that it is regrettable that there appears to be two standards for reporting on such matters. The mainstream media are playing with fire by continuously highlighting cases where Muslims are victims of Hindus, yet failing to report or even misreporting cases where Muslims are acting aggressively towards other religious communities (or even other sects of Islam). This is a watershed – one of the few relatively honest and fearless persons in the Indian media is being threatened; his voice is being silenced. Where will Hindus and India end up if we allow this to occur without standing up for honest individuals such as Gaurav Sawant? Please sign & circulate the petition widely. Click here to sign.